Christie, who considered a 2012 presidential bid of his own, is already at work on his speech to the convention in Tampa, Fla.
WASHINGTON — Chris Christie, the sometimes abrasive but always entertaining governor of New Jersey, is set to be announced today as the keynote speaker for the Republicans’ national convention later this month. Christie, who considered a 2012 presidential bid of his own before endorsing former Massachusetts Gov. Mitt Romney, is already at work on his speech to the convention in Tampa, Fla. His record of cutting his state’s budget, curtailing public sector unions and dealing with a Democratic legislature with disarming and combative confidence all were expected to be on display as he looked to fire up his party’s base. The scheduling decision was first reported online by USA Today early today and confirmed by Republican officials directly involved in convention planning. The Republican officials spoke on the condition of anonymity because the formal announcement was not planned until later today. The keynote speech is the highest profile spot for someone not accepting the party’s presidential or vice presidential nominations. The slot has launched many political figures, most notably a little-known state senator from Illinois named Barack Obama in 2004. Four years later, he won the White House. Christie, already a favorite among fiscal conservatives for his tough talk and take-no-prisoners persona, will find a national introduction of sorts in Tampa and, perhaps, offer the opening steps toward a presidential run in 2016 if Romney loses, or in 2020. The 49-year-old former prosecutor has shown little sign of his influence waning, and he has left the door open for a White House run of his own. Christie became the first Republican elected New Jersey governor in a dozen years when he defeated Democratic millionaire and ex-Wall Street executive Jon Corzine in 2009. 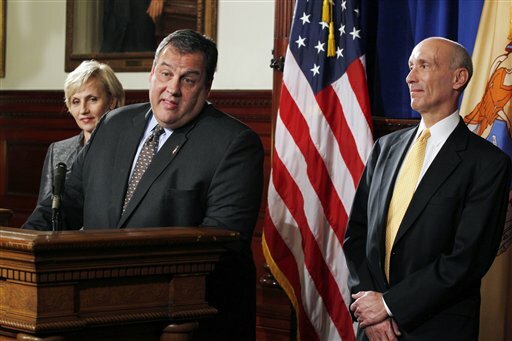 Christie was among the most sought-after guest stars on the GOP speaking circuit and spent much of the recent years traipsing from Connecticut to Michigan and Illinois, appearing in Oregon and Minnesota to endorse fellow Republicans and elevating his own national profile. Many in the party hoped he would mount a last-minute effort to get on the 2012 ballots. He weighed it and in October 2011 earned headlines when he declared with finality that “now is not my time” to run for president, dashing the hopes of Republicans still searching for someone other than then-front-runners Romney and Texas Gov. Rick Perry. Christie had insisted for months that he wouldn’t run. But then came an intense weekend of reconsideration before he made a firm announcement at a news conference at the New Jersey Statehouse. His decision effectively made the campaign between Romney and the rotating cast of anti-Romneys who rose and fell as each primary came and went. In leaving the 2012 melee, he said he wasn’t seeking the job of vice president. But, apparently, he wasn’t opposed to going to Tampa to deliver a speech that may rekindle buzz about his own presidential ambitions.